When it comes to riding your stylish motorcycle, it’s all about making the most of every moment. Whether it’s the whizzing air, switching lanes, or tricky tracks, there’s something absolutely exciting about riding that tempts you to enjoy those moments of freedom over and over again. Yes, riding can rev up anyone’s adrenaline, but it is important to ensure your safety so that you can enjoy many more such exciting moments in the future. This is when you need to find the best full face helmets. Best motorcycle helmets not only help reduce injuries, but they also offer many stylish features. Don’t forget to play it safe while riding out there. With a huge number of face helmets available in the market, it is extremely difficult to choose the one that fits your style and budget. It can become more difficult if you’re not sure what you should look for. For your convenience, we’ve gathered a few face helmets that offer the best of everything, including style, safety, and comfort. 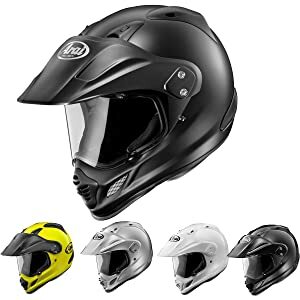 These full face helmets reviews are discussed below. The Shoei GT Air is just another installment in the large range of helmets that Shoei has released, and many argue it could be one of the best. This is by far one of the best full face motorcycle helmets on the market right now, and it is also one of the quietest. This helmet has been specially designed to minimize the amount of noise that the rider experiences, and has undergone intensive wind tunnel testing to ensure that it is as quiet as possible. One of the reasons why the helmet is so quite is its shape, which has been designed to deflect wind away from inlets. Additionally, the padding, neck roll, and bottom of the helmet all work to ensure that noise levels are kept at a minimum. The padding on the inside the helmet also helps to ensure that you get a snug fit. That, and the lightweight shell help to provide the perfect fit regardless of the size of the helmet. However, the shell’s narrow bottom means that you are going to have to be careful about sizes when you are buying one. The narrow bottom does open out, and the top of the helmet is quite roomy. The visibility on this helmet is exceptionally good on the horizontal plane, but rather standard on the vertical plane. The visor is very clear, and is anti-scratch and anti-fog treated. However, it is not shatterproof, something that other helmet visors in this price range. The ventilation on the helmet is also way above average, and the chin vent and top vent provide excellent air circulation. However, perhaps the best thing about this helmet is its overall quality. The paint is done exceptionally well, while the quality of the liner fabric is outstanding. The lightweight fiberglass and organic fiber composite shell may be a little heavy, but you would never be able to tell. This is the perfect helmet for those people that are looking for a quality helmet for all types of riding conditions. It will work especially well for those that have narrower heads, or those that have experienced forehead pressure with other helmets. The Shoei Neotec Helmet is one of the best motorcycle helmets you can buy right now. This helmet has been specially designed with long distance riding in mind, meaning that it is both comfortable and durable. 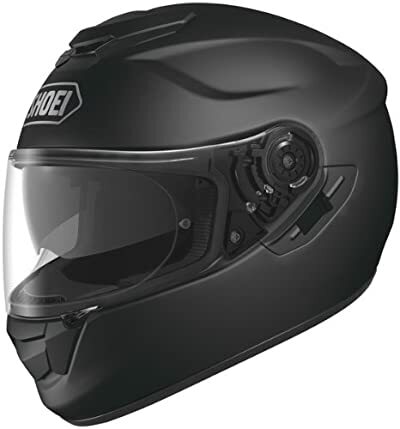 The shell is also specially designed to provide riders with a quiet environment, and comes with an integrated face shield and chinbar pivot point. This helps to minimize the number of moving parts in the helmet and further reduce the noise experienced by riders. It also helps to transform the helmet into an open face helmet at the push of a button. The modular design of the helmet does not compromise on safety in any way. This is because the fiberglass and organic fiber composite that comprise the shell’s construction are designed to withstand high levels of impact. The shell is also very well ventilated, and even in full face mode the helmet is cool even in the heat of summer. The padding on this helmet ensures that you get the perfect fit. It has also been designed with special airflow channels that help promote ventilation. It also comes with a special cut out under the padding for you to store your Bluetooth system. Best of all, the padding can be removed and is machine washable, which makes cleaning the helmet much easier. The visor is the same one used in the Shoei GT Air, therefore, you are assured the same anti-fog and anti-scratch treatment. You also receive the same great visibility, as well as the exceptional clarity that you get with the GT Air. However, the protection that you get from the sun is rather minimal, so you may want to swap out this shield for one that provides more protection. Additionally, the visor is not shatter proof, a feature that may come in handy during a crash. Overall, this is a fantastic helmet to own, especially if you are planning on going on long distance rides. 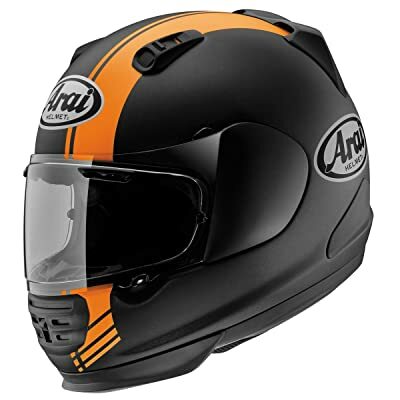 Arai are a company that have been making high quality motorcycle helmets for years, and the Xd4 is perhaps one of their best offerings to date. This helmet is an update of their popular XD3 helmet, and includes an updated visor and ventilation system. Despite the fact that the helmet is an update, the design changes have been made minimal. They are focused more on perfecting what has worked in the past, rather than creating a whole new product. The interior of the helmet has been shaped to fit most head shapes, guaranteeing comfort regardless of whether you have an oval or round head. The helmet is lined with soft fabric that feels nice on the face, but is not exceptionally luxurious, which is surprising considering the price. The helmet exterior is beautiful, with high quality paint and finishes that will please any motorcycle rider. The visor is large and provides you with superior visibility. However, there is no position for defogging, therefore, you may have issues with it clouding up especially in cold or wet weather. The Arai XD4 is very well ventilated, and comes with a myriad of vents to help air circulate within the helmet. These vents include a chin vent, two top vents, and two large rear exhaust vents. One of the upgrades from the XD3 helmet are the two brow vents that help to direct air towards the riders face. However, these vents are a little hard to find and adjust as they are located under the peak of the helmet. In addition, the grip tabs that are used to open most of the vents on the helmet are rather small. This makes it hard to grip them, and therefore make adjustments, when you are wearing gloves. When it comes to noise levels, this is definitely a top rated helmet. The improved ventilation has done nothing to increase noise levels. As far as dual-sport helmets are concerned, the noise levels in this are quite average. The top vents do make some noise even when closed, but this depends a lot on speed and crosswinds. This is a fantastic helmet, but for the price, one would expect to get an anti-fog visor and longer chin straps. The Arai Defiant was first introduced to the market in 2013, and since then it has proved to be one of their more popular releases. The helmet has a number of design cues that make it stand out from the rest. For instance, Arai have greatly improved ventilation on this helmet, making it one of the coolest helmets you will ever wear. The helmet comes with new top vents which help to direct air towards the rider’s face without increasing the amount of noise within the helmet. In fact, they actually seem to help reduce the amount of noise that a rider experiences. The chin vent also helps to greatly improve ventilation. It allows air to flow into the helmet through four vertical slots when the slider is in its lowest position. Rear vents help to pull air out of the helmet, and are adjustable depending on the desired air flow. The visor helps provide excellent visibility, especially on the horizontal plane. Visibility could be better but this is because the eye port has been made smaller to provide more protection. The visor is completely surrounded by the eye port gasket, which helps make the helmet watertight. The visor also comes with Arai’s standard removal system, which may be a little tricky to operate. 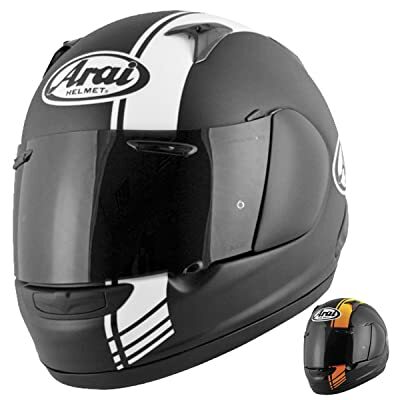 Internally, the Arai Defiant has a somewhat oval shape, which is good, but makes fitting on round heads rather tricky. However, in most cases, a little adjustment to the cheek padding will work just fine to rectify this. The lining of the helmet feels soft to the touch, and helps to promote the superior comfort of the helmet. The padding is also very comfortable, though they could have made the padding on the chin strap a little longer. The padding, along with the ventilation, help to ensure that the Defiant is one of the quietest helmets you can get. However, you must ensure that the helmet fits your head perfectly to ensure that you get the best sound levels possible. There is very little to turn you away from buying the Arai Defiant. It is by far one of the best full face helmets you can buy. The Arai Defiant Base helmet is one of the best full face motorcycle helmets right now, with good reason. The helmet has been specially designed with the street fighter in mind, and it definitely fits the bill. Its aggressive design cues make it stand out from the crowd, especially its new front vents and bold rear vents. These vents help to keep the rider well ventilated, along with the exhaust port at the bottom of the helmet. Visibility on the Defiant Base is very good thanks to the large visor. The visor also comes with a Pinlock insert to help reduce fogging, which is important especially in cold or wet weather. The visor is closed using a “snap and hold” system that keeps it held tight to the eye port gasket. This helps the helmet remain water tight even in the worst storms, while helping to improve aerodynamics. The helmet is also very light compared to many of its competitors. This is surprising especially due to its size, as it is a rather large helmet. Its large size also means that despite the “intermediate oval” shape, there is enough room within the helmet for almost any head shape. The interior of the helmet has been redesigned to guarantee safety and comfort. When it comes to noise, the helmet has a very good noise rating at low speeds. However, once you hit the highway, the helmet can get a little noisy. The noise at high speeds is mostly because the helmet does not have a chin strap. This omission in its design means that air can easily enter through the bottom of the helmet, especially at high speeds. Additionally, though the ventilation does help, the chin ventilation does not have a mesh screen. This means that that bugs and impurities in the air can enter the helmet easily while you are riding. However, perhaps the most disappointing thing about this helmet is the paint. The paint is very fragile, and tends to chip at the smallest provocation, even a slight bump with another helmet. This is the perfect helmet for those people who ride naked bikes, or have to sit in an upright position for most of their ride. 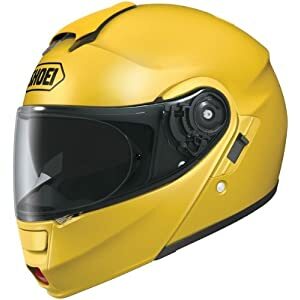 However, the noise at highway speeds is something that needs to be addressed to make this the best full face motorcycle helmet on the market. HJC deals in premium quality motorcycle helmets and accessories. Since 1971, the company has been developing comfortable, affordable, secure, and high quality helmets for motorcycle riders all over the world. Its innovative design ideas and reliable manufacturing practices have made HJC the top helmet brand in the entire North America. It has diversified its product collection by offering many new helmet models that provide safety, style, and comfort to motorcyclists. HJC Solid Men’s CL-17 Full Face Motorcycle Helmet is one such unique helmet that offers great features and enhanced security at the best price. 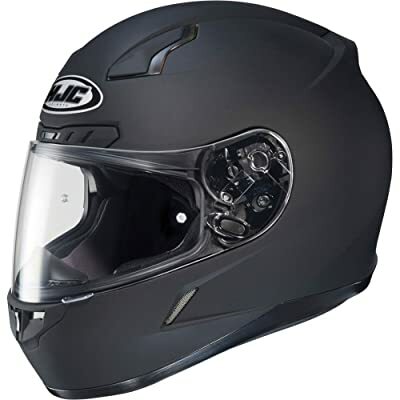 Dimensions: The HJC Solid Men’s CL-17 Full Face Motorcycle Helmet weighs 5.4 pounds and measures 15.7 x 11.9 x 11.5 inches. Shell: The helmet’s shell is made of polycarbonate composite that is designed to absorb any impact. Its unique shape minimizes turbulence. CAD Technology: The helmet is designed using the latest CAD technology. This is the reason why it is lightweight, comfortable, and safe. 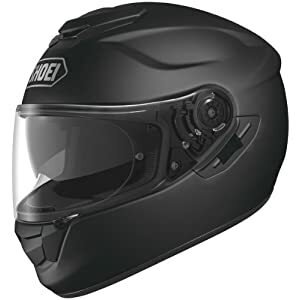 Ventilation System: The HJC Solid Men’s CL-17 Full Face Motorcycle Helmet uses an advanced ventilation technology that ensures front to back airflow. This keeps the helmet free of humidity ad heat. Furthermore, chin bar vent allows proper airflow and prevents shield fogging. Anti-Scratch Face Shield: This helmet features a face shield with an exclusive anti-scratch covering. Shield Replacement System: HJC Helmets has used its advanced and popular RapidFire technology. With this system, it is possible for motorcyclists to remove and install their face shield quickly and easily without using any complicated tools. Anti-Fog Structure: The helmet consists of practical exhaust vents that protect the rider from excessive humidity and heat. Comfortable Interior: The helmet’s interior features the moisture-wicking technology. The SuperCool interior ensures the rider enjoys a greater level of comfort for longer periods. It also has multi-layer cheek pads that enhance comfort and ensure superior fit. UV Protection: The helmet’s 3D face design provides 95 percent protection from ultraviolet radiation. Strap System: The HJC Solid Men’s CL-17 Full Face Motorcycle Helmet consists of a nylon strap. This strap system properly and efficiently secures the rider’s chin. Glasses Grooves: This helmet features glasses grooves that are a great help for riders who wear eyeglasses. Some people are of the view that this black helmet gets fingerprints easily. 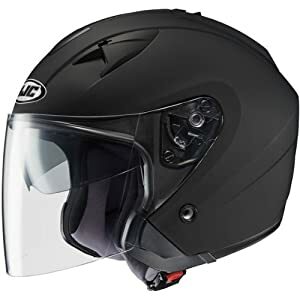 The HJC Solid Men’s CL-17 Full Face Motorcycle Helmet is a stylish, comfortable, and well designed product that ensures the safety of motorcyclists. This reasonably priced helmet is loaded with great features that are sure to bring you excitement. So enjoy your ride with HJC Helmets. HJC has been manufacturing premium quality motorcycle helmets since 1971. With this extensive experience, the company has the right ideas and technology to provide its consumers with comfortable, affordable, and safe helmets all over the world. Since 1992, it has been successfully maintaining its position as the top helmet company in North America. HJC tests its helmets for noise, ventilation, aerodynamics, and many other factors in its own well-equipped testing laboratory. Among its helmets collection, IS-33 Helmet is designed to ensure comfort and safety for motorcyclists. Size: The HJC IS-33 Helmet is a lightweight and comfortable product that measures 12 x 12 x 16 inches and weighs approximately 7.3 pounds. Construction: With unique polycarbonate composite structure, this helmet ensures superior fit. It utilizes the latest CAD technology to keep motorcyclists safe and protected from any damage. Adjustability: The HJC IS-33 Helmet can be adjusted to three different positions according to the wearer’s comfort level. SunShield: The helmet has a single-touch SunShield. This smoke-tinted visor system can be deployed and retracted easily and quickly. Ventilation System: HJC has used the advanced ACS Channeling Ventilation technology in this helmet. This system provides front to back ventilation. Vents: The helmet features multiple exhaust vents and intake vents that allow proper airflow throughout the helmet. This keeps the helmet free of humidity and heat and keeps the wearer fresh for longer periods. Interior: Having advanced and comfortable SilverCool fabric, the interior of the helmet is odor-free as well as moisture-wicking. This antibacterial fabric is used to keep motorcyclists safe from all types of germs and bacteria. Visibility Features: The helmet consists of aerodynamic shell. Its huge eye port ensures greater visibility. Shield Replacement: The HJC IS-33 Helmet includes QuickSlide system to help you replace shield easily and safely. With this system, you can remove and install shield without using any tools. UV Protection: The helmet’s face shield is intelligently designed to give you 95 percent protection from ultraviolet rays. Strap: This helmet features a nylon strap that efficiently protects chin strap. Helmet Security: The HC IS-33 Helmet includes an exclusive D-ring to keep the helmet safe. It does not contain buckles found in traditional helmets. Some people are of the view that this open face helmet may not be a safe choice on long rides. If you’re looking for an open face helmet that can offer you safety and comfort as well, then HJC IS-33 is the helmet that can give you the best of everything. Equipped with aesthetically appealing elements and safety features, the HJC IS-33 brings you the best options in a single package. Enjoy your motorcycle ride with this comfortable helmet! GLX, also known as Galaxy Helmets and Accessories, was founded in 2002 in Southern California. Since its inception, the company has been importing and distributing motorcycle helmets as well as many other accessories. Its state-of-the-art manufacturing plant has been developing helmets since 1994 that are supplied all over the world. GLX works with expert American designers to create quality helmets according to the interests of the US consumers. GLX strives to design and manufacture safe helmets that go through stringent quality testing procedures. 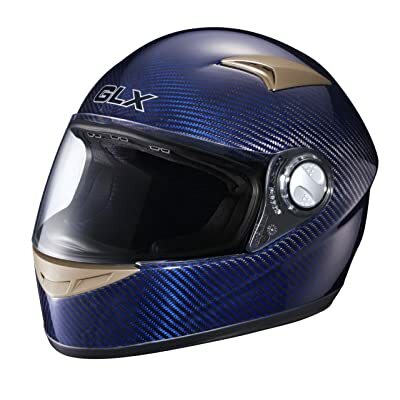 GLX Carbon Full Face Motorcycle Helmet is another innovative creation of GLX Helmets. 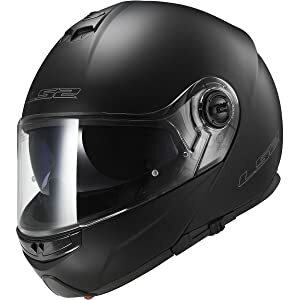 Size: The GLX Carbon Full Face Motorcycle Helmet is a small, compact, and lightweight product, measuring 15.2 x 10.9 x 10.7 inches and weighing around 4.5 pounds. Color: The helmet’s blue color is a sight for sore eyes, especially in the sunlight. Construction: The GLX Carbon Full Face Motorcycle Helmet features an advanced shell construction that adds to its durability and longevity. This helmet is in compliance with the vehicle safety standards given by Snell M2010 and FMVSS218 (DOT). It consists of secure plastic shell with reinforced fiberglass. Face Shield: This helmet consists of a scratch-resistant and anti-fog face shield that enables riders to enjoy a safe and pleasant ride regardless of the weather conditions. Ventilation: GLX Helmets has used a special channeling ventilation technology in this helmet. With this advanced system, the helmet’s interior stays free from humidity and heat. Thus, it keeps the rider fresh for longer periods. Liner: The GLX Carbon Full Face Motorcycle Helmet’s liner is easily removable as well as washable. Shield Replacement: GLX Helmets has used a replaceable shield for the GLX Carbon Full Face Motorcycle Helmet. With convenient replacement options, you can easily and quickly remove and install your helmet’s shield without using complicated tools. The helmet’s color confuses a few riders as carbon fiber appears dark blue in the sunlight but looks black inside. The GLX Carbon Full Face Motorcycle Helmet is a feature-rich product that offers good looks, safety, and comfort simultaneously. If you need a helmet that not only complies with stringent safety standards, but also makes you look good on your motorcycle, then this is the item you should opt for. Besides keeping you safe from accidents, this full face helmet will offer you protection from dust and strong winds. So make your choice and get ready to be amazed with its great features. Bilt is a known brand that offers high quality accessories, including helmets, gloves, boots, apparel, and luggage to motorcyclists. It deals in everything from mesh to waterproofs and from textile to leather to fulfill the requirements of its consumers all over the world. Bilt provides a vast collection of riding accessories for both men and women. Its reasonable priced products denote quality and great features. Bilt Techno Bluetooth Full-Face Motorcycle Helmet is designed to give motorcyclists ultimate confidence and a sense of security. Construction: The Bilt Techno Bluetooth Full-Face Motorcycle Helmet’s shell is made of injection molded polycarbonate. This material not only makes it a stylish helmet, but also makes great additions to its safety features. Its exterior’s metallic paint has a special matte finish that further enhances its glow. Sun Shield: The helmet consists of a drop-down sun shield. Being a tinted sun screen, it protects you from harsh sun rays and heat. Technology: The Bilt Techno Bluetooth Full-Face Motorcycle Helmet is one of the most technologically advanced products of Bilt. It gives you a great opportunity to sync your helmet with any of your favorite Bluetooth devices to enjoy your ride. You can also connect it with your MP3 device. Face Design: Its unique full face design keeps you protected from harsh weather as well as possible accidents. Ventilation System: The helmet features chin mounted ventilation whose convenient open and close functionality ensures greater comfort. It also keeps the helmet’s interior free of heat and humidity. Its back exhaust vents feature a metallic mesh that allow for efficient airflow. Safety Features: The helmet’s design and safety features are compliant with the safety standards of DOT. Lining: The helmet’s lining is fully removable. Bluetooth System: The advanced Bluetooth system allows motorcyclists to enjoy mobile phone communication, MP3 connectivity, GPS navigation, and communication with passenger or another rider. Additional Features: It is possible to pair this helmet with another Bilt Techno Helmet to enjoy communication with another rider or passenger. 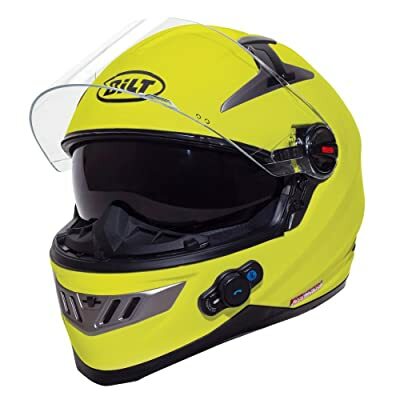 Some people complain that the Bilt helmet generates a little noise at higher speeds. If you need a helmet that lets you communicate with other riders and passengers, enjoy your favorite songs, or stay connected to your mobile phone while riding, then Bilt Techno Bluetooth Full-Face Motorcycle Helmet is the product you should go for. Not only helping you feel secure and protected, it also lets you stay connected with any of your favorite Bluetooth devices. Enjoy the user-friendly Bluetooth feature and your ride! LS2 Helmets started its journey in 1991 when Arthur Liao established Xiqing Plastics in China. It designed and sold motorcycle helmets throughout the local Chinese market. The brand, LS2 Helmets, was registered in 2006 and then they started to be supplied all over the world. LS2 Helmets are known for their quality craftsmanship and stringent testing procedures. Its helmets are carefully inspected to ensure their quality and safety. The LLS2 Helmets Strobe Solid Modular Motorcycle Helmet offers great features at reasonable prices. Size: The LS2 Helmets Strobe Solid Modular Motorcycle Helmet measures 14.5 x 11.5 x 11 inches and weighs around 4 pounds. Construction: The helmet consists of composite shell. This aerodynamic shell involves adjustable ventilation system that is designed to cut through the airstream to ensure the comfort of rider. This construction method keeps the rider protected from fatigue as well. Interior: The helmet’s interior liner is washable and removable. This antibacterial liner is odor-resistant. Latch System: The metal-based latch system provides a safe closure with its smooth operation. It can be operated with a button that you can find and use easily. Chin Bar: The helmet’s chin bar consists of a safe detent if fully opened. This ensures the chin bar doesn’t plop down over the rider’s eyes when they don’t need it to. If the chin bar is opened when the shield is up, both are designed to come down in a single motion. Shield System: LS2 Helmets has used its efficient shield system in this helmet. Having an integrated sunscreen, the LS2 Helmets Strobe Solid Modular Motorcycle Helmet ensures you can close and open the sunscreen easily and quickly. While helping you get enough sun protection, this feature enables you to get the right amount of light when traveling through a tunnel. Replacement Lenses: You can find the helmet’s replacement lenses in HiViz, light smoke, and dark smoke. Face Shield: The LS2 Helmets Strobe Solid Modular Motorcycle Helmet’s face shield is labeled as Fog Fighter. This optically correct face shield is scratch resistant. You can easily and quickly remove, replace, and install this shield whenever you want. Foam: The LS2 Helmets Strobe Solid Modular Motorcycle Helmet features comfortable foam placed in cheek pads. This laser cut quality foam ensures a comfortable and secure fit. Quick Release Strap: A well-designed strap is used to help you put this helmet on and off. Some motorcyclists think that the LS2 Helmets Strobe Solid Modular Motorcycle Helmet is a bit bigger than other helmets available in the same price range. If you want a comfortable helmet that doesn’t make your motorcycle ride a strenuous journey, then the LS2 FF386 Modular Motorcycle Helmet is the product you should look for. Allowing for greater visibility, this helmet protects you from rough weather as well as possible accidents. Stay safe with LS2 Helmets. There are very many motorcycle helmet brands out there, which can make it difficult for riders to choose the right helmet. However, there are some brands that stand out from the rest, and this section of the review covers the five best brands right now. Arai is a Japanese company that has been making helmets for almost 100 years now. All Arai helmets are high quality, hand built helmets ever since, and have become one of the most sought after brands on the market. Every helmet goes through extensive testing at every stage of production. The helmets are tested first after the shells are completed, then when they are painted, and finally after the final assembly. Arai Helmets have been lauded for their comfort and ventilation, and are used by some of the most famous MotoGP racers in history. This is another Japanese company, and they have been making high-end, premium built helmets since 1959. Considered innovators in the industry, they were the first company to come up with a carbon fiber helmet way back in 1976. They were also the first company to include Kevlar in the construction of their helmets. Though the company is still quite small, they have one of the most loyal customer bases on the planet. This is because their customers are never disappointed by their purchases, and are sure that they will be getting a reliable product when they buy a Shoei helmet. Nolan is an Italian helmet manufacturer that has been operating since 1973. They make some of the safest helmets on the market, and all their products either meet or exceed DOT helmet standards. The aesthetics of Nolan helmets are also some of the most desirable on the market. They are also very reasonably priced in comparison to the competition. However, perhaps the best thing about these helmets is the 5 year warranty that each one comes with when bought new. Nolan helmets have been used by some prominent motorcycle riders, including Marco Melandri and Casey Stoner. AGV Helmets are high-quality Italian motorcycle helmets that first hit the shelves in 1947. The brand is thought to be one of the pioneers of the helmet world. They are famous for their high-quality yet affordable helmets. All their products either meet or surpass the DOT safety standards, which guarantees your safety as a rider. In fact, these helmets are so good that motorcycle world champions Giacomo Agostini and Valentino Rossi have used AGV helmets throughout their careers. HJC is a company that has been making helmets since 1971, and has been the number one brand in North America since 1992. The company has also become popular in many other countries, and is steadily building a worldwide fan base. One of the reasons that HJC is so popular is because it produces some of the most comfortable helmets you can find. Other reasons are because they are very stylish helmets, and they are very affordable. All HJC helmets are wind tunnel tested to ensure that all possible quality standards are adhered to. These include noise, ventilation and aerodynamics. According to different studies, every year millions of people die in road accidents, while many more are disabled and injured. A majority of injuries can be prevented only if you use the right protection gear. Using a face helmet is one of the most effective ways of minimizing fatalities and head injuries that usually result from motorcycle crashes. A helmet is an essential safety accessory for riders as well as passengers on motorcycles. Take a look at the major benefits of motorcycle helmets. Motorcycle riders and passengers can wear a large number of items to stay protected from accidents and the resulting injuries. These items may include footwear that can cover their ankles, jackets with long sleeves, motorcycle gloves, and long pants. Nevertheless, a face helmet is one such important safety accessory whose benefits go beyond others’. A good face helmet has four key components, including a shell, padding, retention system, and a liner to absorb impact. These components work collectively to keep a motorcyclist’s brain and face protected if an accident occurs. A quality helmet can add fun to your motorcycle ride. After all, its comfort features are designed to reduce wind noise that roars by the motorcyclist’s ears. It also offers you great protection harsh weather elements and sunlight. If your helmet has a practical visor, it can minimize the sun’s glare and help you enjoy your ride. A face helmet can cut down on wind blasts on the rider’s eyes and face. What’s more, it can deflect small bugs and several other things moving through the air. While reducing your fatigue, a helmet can offer you protection from unpredictable weather conditions. If you like riding in cold weather, a good helmet can keep your face warm. Moreover, you can stay protected from water if it rains. Motorcyclists who don’t wear face helmets usually have to bear higher health expenses due to their critical injuries. Nevertheless, studies by different insurance companies have revealed that a vast number of motorcyclists without helmets don’t have the right health insurance. When these motorcycle riders get injured in road accidents, their health care expenses become a liability for the government. The helmet’s shell and impact-absorbing liner are designed to absorb shocks. These shocks usually occur when your head tries to continue moving even when the helmet is stopped. In the event of an accident, both the liner and shell compress and spread the impact’s forces throughout the material of your helmet. The greater the energy of impact is absorbed or deflected, the less part of it your brain and head receives. A high quality face helmet has a foam-based comfort padding that is placed right next to the motorcyclist’s head. It not only ensures superior comfort, but also keeps the rider’s head secure. The helmet’s retention system is one feature that keeps it on the motorcyclist’s head in the event of a crash. This is the reason why it is important to fasten this strap securely. There is much more to using a face helmet than just purchasing the one that fits your head size. If you’re used to guessing the right helmet size for your head, it’s time to learn a better technique to measure your head size. This will further help you pick out the best helmet. It is better to take your head’s measurement at its biggest circumference. This measurement may best be taken just over your eyebrows or your eyes. You may have to measure your head a number of times to be sure about its size. A large number of helmets are labeled as XL, L, M, or S, so make sure to consult the manufacturer for appropriate size equivalents. After all, motorcycle helmet sizes usually vary among brands and models. Before you purchase a helmet, make sure to try it on to determine if it fits properly. Hold your helmet by its chin straps. Its bottom should face you while its front should be pointing down. Place both your thumbs on your helmet’s straps and balance it using your fingertips. In order to wear your helmet, you may have to spread its sides apart slightly. Once you’ve slipped down the helmet over your head, consider making a few important fit checks to ensure your safety. Make sure the helmet’s cheek pads touch your cheeks but shouldn’t press them uncomfortably. Your chin or nose should not touch the helmet’s face shield. There shouldn’t be any space between brow pads and your temples. If your helmet includes a neck roll, make sure it doesn’t force the face helmet away from your neck. Once you’re comfortable with the helmet’s positioning, make sure to fasten its chin strap. This will fit the helmet comfortably. Adjust the helmet if it feels too tight. Make sure it fits exactly on your head. If your face helmet is a bit too large, it can move around or come off and make your ride uncomfortable. With the helmet’s straps fastened, consider moving your helmet up and down and sideways using your hands. If the helmet fits properly, your skin will move along with the helmet. You may even feel a little pressure over your head. It is good to remember that a face helmet usually loosens up when its liner compresses. With the helmet’s chin strap fastened, try taking your motorcycle helmet off your head. If you are able to take it off, this simply means that it is too big for your head size. It is better to remember that pressure points tend to become uncomfortable and are likely to cause fatigue or other problems after a long ride. If you notice any read marks on your forehead or your head hurts anywhere, then you should select a larger helmet size or look for a better brand of helmet.